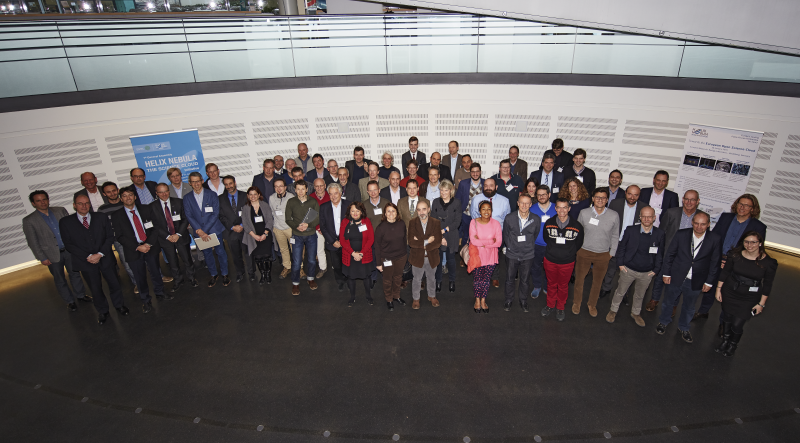 The main objective for the open day was to build consensus on a model for the European Open Science Cloud that could be widely accepted across Europe’s flagship research infrastructures, their public and private sector user communities and value chains, the long tail of science, service providers and funding agencies. As highlighted within the Open Day’s Life Science session, the rise of big data in areas such as genomics or large-scale imaging offers many scientific opportunities. However, it also poses enormous new challenges around storage, access and analysis of life science research data. Cancer research is a typical example. Over a million estimated genome datasets from cancer patients will become available to the life science community by 2019. This will be a big step forward creating enormous opportunities for cancer research. However, no single European research centre will be able to provide the necessary infrastructure to analyse the hundreds of thousands of genomes, to store and access them securely or to utilize these data efficiently for translational research and downstream medical application. Delegates agree that mature open source technologies exist today, however, integration, policy and governance still require careful attention. That’s where the European Open Science Cloud can make the difference. The European Open Science Cloud is not just a single solution, but a trusted and open environment for storing, sharing and re-using scientific data and results supporting Open Science practices. "We are preparing a call for a European science cloud project to identify the possibility of creating a cloud for our scientists. This will mean setting standards for the management, interoperability and quality of scientific data." said Carlos Moedas, European Commissioner for Research, Science and Innovation at the launch of the Digital Single Market strategy in May 2015.
promote public-private innovation to satisfy the needs of the research communities and increase the global competitiveness of European ICT providers. Several initiatives within the European panorama already work on building the foundations for the European Open Science Cloud. HNSciCloud is one of the key initiatives, representing a new pre-commercial procurement project co-funded by the European Commission Horizon 2020 Programme and ten public research organisations. HNSciCloud builds on the results of the PICSE project on cloud procurement and aims to create a competitive marketplace of innovative cloud services to serve scientific users from a wide range of domains. The cloud platform will combine services at the IaaS level integrated into an environment supporting the full life-cycle of science work-flows. Open source solutions will be used to build the hybrid platform on which European cloud players can develop their own services for a wide range of users beyond research and science. The services will integrate with the data centres operated by the cloud service buyers (i.e. the above mentioned research organisations) and European-scale publicly funded e-Infrastructures. To achieve these objectives HNSciCloud will issue a public tender in 2016. During the Open Day event, the publication of the corresponding Prior Information Notice was announced, together with the date for the Open Market Consultation event on 17 March 2016, at CERN, Geneva, Switzerland. This event’s main objective will be to present the tender specifications and to collect feedback from stakeholders. Interested in attending? Please complete the following Application Form by Monday 29th February 2016. A video stream and all the presentations of the open day event can be downloaded here. All the tweets of the event are available at #HNIOpenDay. Share your additional thoughts with us @HelixNebulaSC, @PICSEPROCURE or @EMBLorg. Namely, CERN - the European Organization for Nuclear Research, CNRS - the Centre National de la Recherche Scientifique, DESY - the Deutsches Elektronen-Synchroton, EMBL - the European Molecular Biology Laboratory, ESRF - the European Synchrotron Radiation Facility, IFAE - the Institut de Fisica d’Altes Energies, INFN - the National Institute of Nuclear Physics, KIT - the Karlsruher Institut für Technologie, STFC - the Science and Technology Facilities Council, SURFsara - Collaborative ICT organisation for Dutch higher education and research.